Turbin has a workout scheduled for Thursday with the Raiders, Ian Rapoport of NFL Network reports. Turbin (shoulder) was waived by the Colts on Friday. Analysis: Turbin's release comes as a bit of a surprise, considering he seemed to be recovering well from the shoulder injury he sustained in Week 6 against the Jets. Week 5 was the only other game Turbin played in this season -- after missing the first four games due to suspension -- and he received just nine snaps on offense and didn't log any carries. Turbin (shoulder) was a full participant in Thursday's practice. Analysis: Turbin was limited in practice to begin the week, but his full participation Thursday suggests a full recovery from a dislocated shoulder sustained in Week 6. The veteran running back appears on track for Sunday's game against the Jaguars and will serve as a depth option behind Marlon Mack (ankle) and Nyheim Hines. Turbin (shoulder) was a limited participant in Wednesday's practice. Analysis: Turbin continues to nurse a dislocated shoulder suffered during a Week 6 loss to the Jets. The veteran's limited participation in practice suggests that he made some progress in his recovery during Indianapolis' bye week, but Turbin should still be considered questionable for Sunday's game against the Jaguars. Turbin (shoulder) returned to practice Monday, George Bremer of The Anderson Herald Bulletin reports. Analysis: Turbin hasn't played since Week 6, when he dislocated his shoulder against the Jets. His return to the practice field is an encouraging sign and suggests he may be able to play against the Jaguars in Week 10. Running backs coach Tom Rathman said Tuesday that the Colts hope Turbin (shoulder) returns to practice as early as next week, Joel A. Erickson of The Indianapolis Star reports. Analysis: Turbin opened the season with a four-game suspension for a violation of the policy on performance-enhancing drugs and only lasted two games before dislocating his shoulder Week 6 against the Jets. With the Colts on bye this week, Turbin apparently will attempt to give it a go next week with an eye on an appearance Nov. 11 versus the Jaguars. Turbin (shoulder) has been ruled out for Sunday's game against the Raiders, Zak Keefer of The Indianapolis Star reports. Analysis: Down the road, Turbin could potentially help out the Colts in goal-line or short-yardage situations. For now though, the return of Marlon Mack to the mix has solidified the top of the team's backfield, with Nyheim Hines and Jordan Wilkins on hand to work in change-of-pace/reserve roles. Turbin, who missed practice Wednesday, is bouncing back from a dislocated shoulder, Zak Keefer of The Indianapolis Star reports. Analysis: While the running back hasn't yet been officially ruled out for Sunday's game against the Raiders, a return to practice after the the Colts' Week 9 bye seems like a plausible scenario. While Turbin could make his mark down the stretch in goal-line or short-yardage situations, the return of Marlon Mack to the mix has solidified the top of the team's backfield for now. Turbin (shoulder) is listed as out for Sunday's game against the Bills. Analysis: Turbin was unable to practice at any point this week, making it an easy decision for the Colts to rule him out for the Week 7 matchup. Once he's cleared to return from the shoulder injury, Turbin may have difficulty earning work out of the Indianapolis backfield with Marlon Mack and Nyheim Hines seemingly emerging as coach Frank Reich's preferred ballcarrier and pass-catching option, respectively. Turbin (shoulder) isn't participating in Thursday's practice, Kevin Bowen of 1070 The Fan Indianapolis reports. Analysis: Turbin has opened Week 7 preparations with back-to-back absences from practice, making it uncertain if he'll be available for Sunday's game against the Bills. Even if he suits up, Turbin seems destined to fill a low-usage role behind Marlon Mack and Nyheim Hines. Mack acted as the Colts' clear top runner in the Week 6 loss to the Jets (12 carries for 89 yards), while Hines handled most of the backfield snaps on passing downs. Turbin (shoulder) was absent from practice Wednesday, Kevin Bowen of 1070 The Fan Indianapolis reports. Analysis: Turbin's status for Week 7 against the Bills is cloudy at this stage, but his fantasy upside is limited in any case by the fact that Marlon Mack has reclaimed his spot atop the Colts' depth chart. Mack led all Colts backs with 89 yards on 12 carries in the team's 42-34 loss to the Jets in Week 6 while Turbin was limited to four totes for 10 yards across 13 offensive snaps. Turbin (shoulder) will not return to Sunday's game against the Jets, Mike Wells of ESPN.com reports. Analysis: Turbin sustained the injury on a second-quarter carry on which he lost a fumble. Marlon Mack, Nyheim Hines and Jordan Wilkins remain as the Colts' backfield options in New York. Turbin was forced out of Sunday's game against the Jets with a shoulder injury.. Analysis: With Turbin out of the game, the Colts' backfield will now have Marlon Mack, Nyheim Hines and Jordan Wilkins to turn to Sunday. Turbin is officially questionable to return. Turbin played nine offensive snaps but didn't earn any carries and wasn't targeted in the passing game in Thursday's 38-24 loss to the Patriots. Analysis: Turbin was making his season debut after sitting out the first quarter of the season while under suspension. The 28-year-old's lack of practice time over the past month in addition to the Colts playing on a short week may have contributed to Turbin's limited usage. Once he gets more practice time under his belt, Turbin could have a more expanded role in goal-line or short-yardage situations. Turbin is officially back on the Colts' active roster after completing a four-game suspension. Analysis: What sort of role Turbin might see now that he's back in the mix is unclear, which clouds his fantasy prospects, but with Marlon Mack (hamstring) out, he could work in a complementary role Thursday in a backfield that will also include Jordan Wilkins and Nyheim Hines. Once fully up to speed, Turbin could potentially emerge as a goal-line option in the Indy offense. Head coach Frank Reich said there's a possibility Turbin (suspension) will play in Thursday's game against the Patriots, but the running back isn't in line for anything more than a situational role, Kevin Bowen of 1070 The Fan Indianapolis reports. Analysis: Turbin has officially satisfied his four-game PED suspension, but it's not certain the Colts will instantly promote the veteran to the active roster for Thursday's quick turnaround. Even if he does suit up, Turbin likely won't serve as anything more than an occasional short-yardage back that can be trusted in pass protection, setting up both Jordan Wilkins and Nyheim Hines as better fantasy plays. Turbin (suspension) took five carries for 12 yards and lost a fumble in Thursday's preseason game against the Bengals. Analysis: Turbin failed to take advantage of his opportunity as a starter in his last game appearance until Week 5. He could have a part-time role when he returns from his four-game suspension, with goal-line/short-yardage work representing his best opportunity to contribute. Coach Frank Reich said Turbin (suspension) will start Thursday's preseason game against Cincinnati, George Bremer of The Anderson Herald Bulletin reports. Analysis: Given that he missed the past two preseason games with an ankle injury and is set to serve a four-game suspension at the beginning of the regular season, Turbin could be in for a significant workload Thursday against the Bengals. He'll likely fill a much smaller role when he returns to the Colts in Week 5. Turbin (ankle, suspension) will be held out of Saturday's preseason contest against the 49ers. Turbin (ankle, suspension) returned to practice Thursday, Andrew Walker of the Colts' official site reports. Turbin (ankle, suspension) will not play in Monday's preseason game against the Ravens. Analysis: Turbin suffered the injury in last week's preseason opener and missed practice throughout the week. The severity of the injury remains unclear, but the 28-year-old has some additional recovery time as he is suspended through Week 4 for violating the league's policy on performance-enhancing substances. 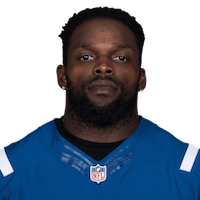 Turbin (suspension) missed practice Saturday after suffering an ankle injury in Thursday's preseason win at Seattle, Mike Chappell of CBS WTTV 4 Indianapolis reports. Turbin is "week-to-week,'" according to head coach Frank Reich. Analysis: Turbin is suspended for the first four NFL regular-season games for violating the league's policy on performance-enhancing substances. However, he's able to play in the preseason and was likely set for a sizeable workload. The Colts may be thin at running back in the preseason with Marlon Mack also sidelined by a hamstring injury. Turbin (suspension) had six carries for 27 yards and two receptions for 18 yards in Thursday's preseason win at Seattle. Analysis: Expect Turbin to get extensive work in the preseason since he can play in exhibition games even though he's suspended for the first four NFL regular-season games for violating the league's policy on performance-enhancing substances. Turbin could win a role as Marlon Mack's primary backup and carve out a goal-line role. Turbin was suspended four games for violating the league's policy on performance-enhancing substances, Adam Schefter of ESPN reports. Turbin is likely facing a suspension from the league after recently testing positive for a banned substance, Andrew Walker of the Colts' official site reports. Turbin will be joined in the Indianapolis backfield by fourth-round selection Nyheim Hines and fifth-round pick Jordan Wilkins, Mike Chappell of Fox 59 Indy reports. Turbin, who was placed on injured reserve Oct. 20, said he's fully recovered from a dislocated left elbow, Zak Keefer of The Indianapolis Star reports. Analysis: Turbin looks like he'll be in store for a normal offseason, but despite his good health, he won't be able to play in any of the Colts' final four games or practices during that stretch after the team already exhausted both of its designated-to-return-from-IR spots. The running back will enter the second year of his two-year contract with the Colts in 2018.